Randstad is a global leader in the HR services industry was founded in 1960 by Frits Goldschmedig. Randstad is headquartered in Netherlands and has 4858 offices in 39 countries with 37,930 employees as of 2018. The company is the market leader in the Netherlands, Belgium, Luxembourg, Germany, Poland, Canada and India. By combining passion for people with the power of today’s intelligent machines, Randstad supports people and organisations in reaching their true potential. According to Randstad, they place high value on work as a unifying force that shapes society for the better. The company’s strategy rests on four building blocks which include strong concepts, best people, excellent execution and superior brands. 1. 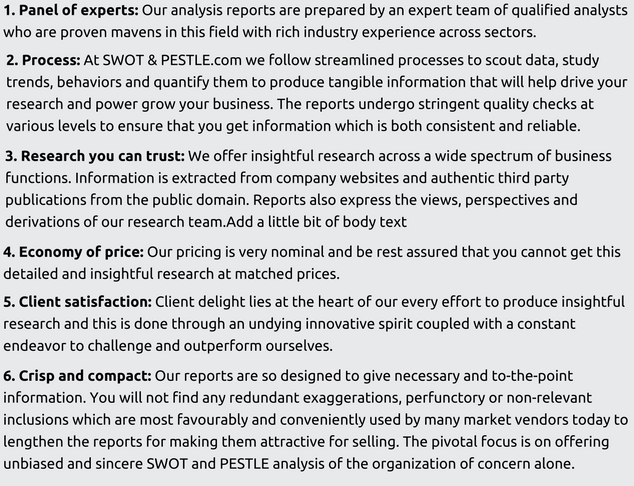 Excellent performance in new markets: Randstad’s performance in new markets has been excellent in the last few years. Traditionally Europe was Randstad’s biggest market, but after the acquisition of Vedior and some intelligent rebranding, the company now has a strong presence and market share in the US and Asia markets. In USA, the company has shown steady growth with 3% growth in market share. In Asia, Randstad showed very good performance in countries like India, Hong Kong and China. In India, the revenue went up 4% for FY17 while in China the revenue increased by an impressive 9% mostly driven by temporary staffing and outsourcing businesses. The successful expansion into new markets has helped the company build new revenue streams. 2. Successful track record of mergers and acquisitions: Randstad has an extremely successful track record of acquiring companies in local markets. The acquisition of ‘Vedior’ in 2007 and that of ‘Monster’ in 2016 paved the way for Randstad to gain considerable market share and helped them grow globally as well. Be it India, where they acquired ‘Ma Foi’, ‘EmmayHR’ and ‘Teams4U’ or be it Japan, where they acquired ‘Careo’, Randstad has been using acquisitions and mergers intelligently to beat its competitors. The integration of these companies has helped Randstad use the latest technology and streamline its operations to connect the right people to the right jobs. 3. Strong cash flow which helps the company expand into new projects: Randstad’s strong financial performances in FY-17 and FY-16 have helped them expand into new projects like ‘Human Forward’ which aims to use the power of intelligent machines to support people and organisations in hiring and realising their true potential. With free cash flow of €585.6 million in FY-17, Randstad has the resources to expand into new projects and diversify their economic cycle risk. 4. Strong market presence and brand recognition: One of the biggest brands in the HR and Professional services sector, Randstad has a particularly strong presence in Europe where they are the market leaders in Netherlands, Germany, Spain, and Belgium & Luxemburg. It has the advantage of having a presence 90% of the strong HR service markets countries. Its strength is derived from its strategy intending to capitalize on the systemic growth drivers in these markets. Also, Randstad’s successful performance and expansion into new markets has helped increase its visibility and brand presence. Recognised as a global leader in its sector, Randstad is in the top 3 positions with respect to market share in the majority of the 39 countries it functions from. 5. Highly skilled and motivated workforce: The biggest problem in workplaces today is to not only attract but to also retain top talent. Randstad, by investing huge amounts in training and development, has employees that are not only highly skilled, but are also highly motivated to stay and work for the betterment of the organisation. The employee retention rate for 2017 was an impressive 76.9%. 1. Data protection laws and regulations. 1. Actionable steps to reduce electricity consumption and CO2 emissions. 1. Ageing and declining population growth in the developed world: Aging and declining population growth in the developed world is leading to a shortage of people with vital skills. In addition, there is a growing mismatch between the qualifications, skills and preferences of workers and the rapidly evolving demands of the labor market. At the same time, in emerging and developing countries, changing population dynamics have led to a bulge in the proportion of the young population entering the labor market, fueling urbanization and contributing to international migration. 2. Variety of work forms with increase in outsourcing: In this dynamic world of changing work forces, companies tend to be more agile and adaptable. This has led to companies mainly focusing on their core activities and outsourcing HR activities. This is leading to new and diverse work relationships, from full-time, part-time, temporary and permanent forms to contract work, remote working and self-employment. Companies are looking for workers who are committed and flexible while workers increasingly only want to work where they are comfortable in. Randstad will be hoping to bridge this gap by connecting the right people to the right jobs. 3. Achieve higher levels of economic productivity through diversification: In today’s world and age, workplaces are filled with increasingly diverse workforce. The right fit for the right person becomes extremely vital again and this is once social factor which Randstad can focus and build on. Inclusive and sustainable growth with full and productive employment has become more and more important in today’s world and age. Careo Group Temporary staffing 2016 Acquisition The acquisition will help Randstad double its presence in the Tokyo area, and in its IT/Engineering business. 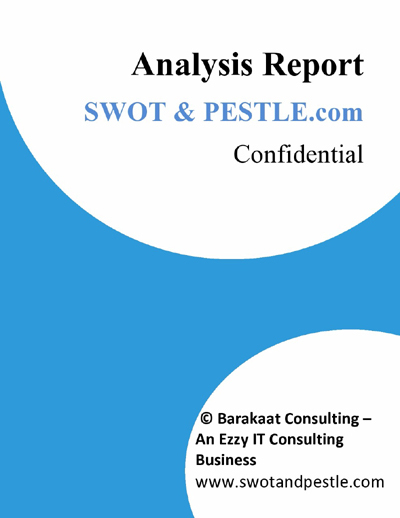 Randsad SWOT and PESTLE analysis has been conducted by Ashwin Hanagudu and reviewed by senior analysts from Barakaat Consulting. 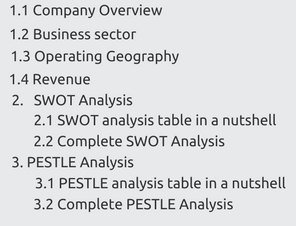 Copyright of Randsad SWOT and PESTLE Analysis is the property of Barakaat Consulting. Please refer to the Terms and Conditions and Disclaimer for usage guidelines.